You are here: Home / WP EasyCart Blog / Designer Articles / EasyCart Shortcode is Easy! 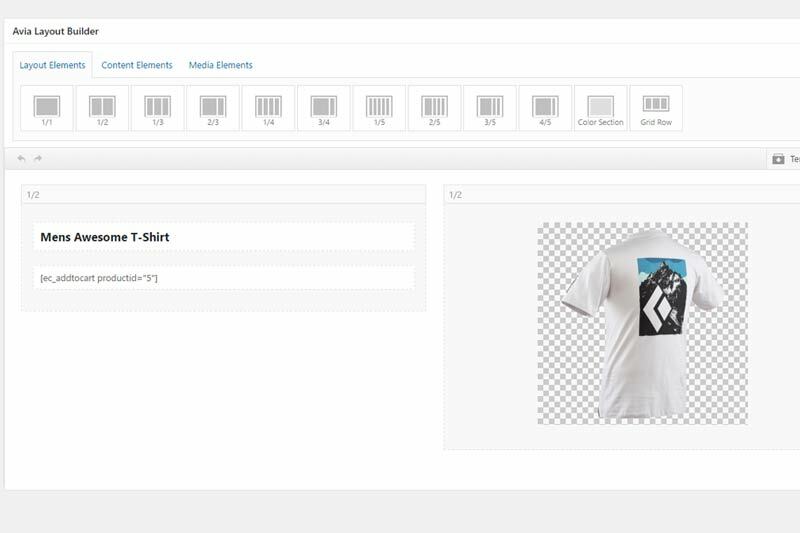 Looking to develop custom product pages with EasyCart Functionality? 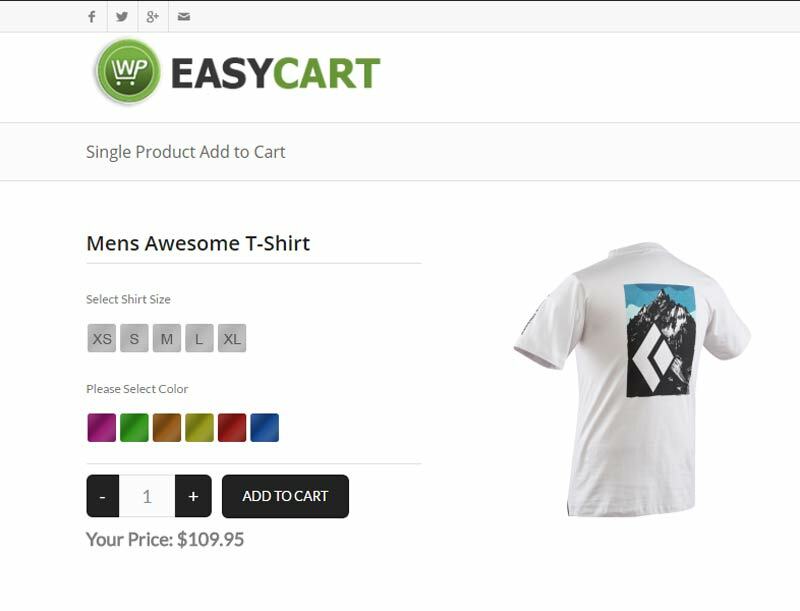 Many customers have asked about creating new products and designs on their WordPress pages and then simply inject or add EasyCart add to cart behavior or products on those custom pages. It is a common workflow, and while EasyCart develops an entire catalog system for you and your products, customizing ones pages to fit your specific needs is often a requirement. 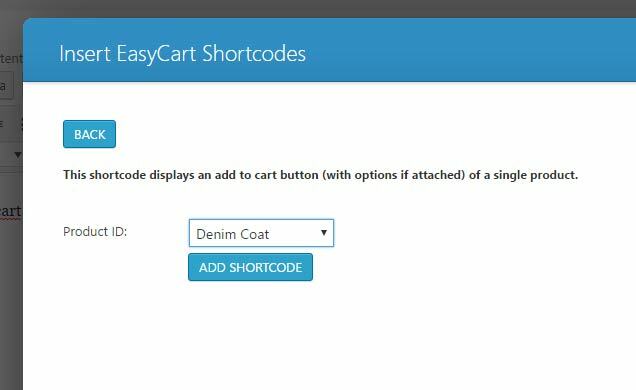 With EasyCart shortcode, it is easy to develop your own product pages and add only specific parts of EasyCart to your system. Here are a few good examples, but be sure to experiment with our shortcode to see all of the capabilities it has to offer. This is very popular scenario, you have a few products, so you want to create highly customized WordPress pages and JUST use EasyCart add to cart behavior. Create your page in WordPress how you like it, then access the EasyCart shortcode by clicking the ‘shopping cart’ icon on the toolbar. Select the ‘Add to Cart’ shortcode button. 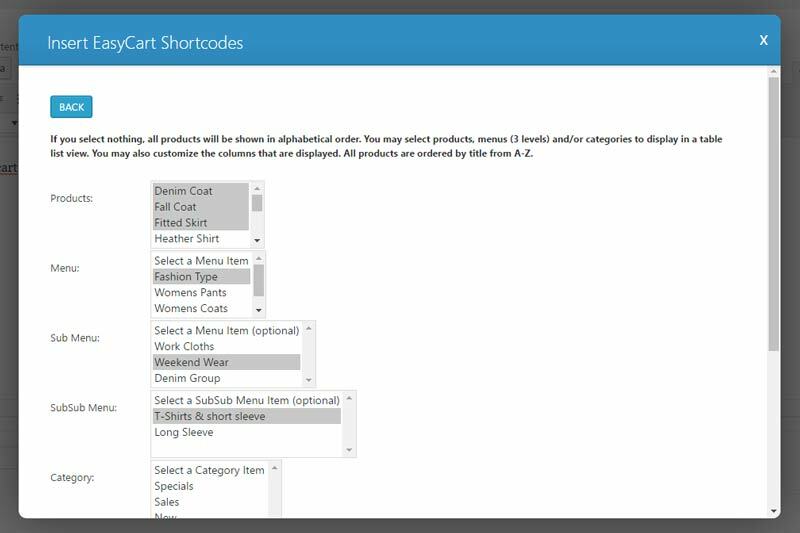 There are lots of options here for shortcode, so worth time to explore and see the possibilities of each shortcode section. Once you select ‘Add to Cart’, you are asked which product would you like this add to cart button to represent, select which product from the dropdown. Select ‘Add shortcode’ and it will inject the shortcode into your wordpress page. You can use the default editor OR some themes have custom page builders, which also work if they represent shortcode in them. Here you can see shortcode in the default editor, but you can also add it to your theme if it has a page builder system and will represent shortcode appropriately. Many customers have asked for a way to build a table of products. 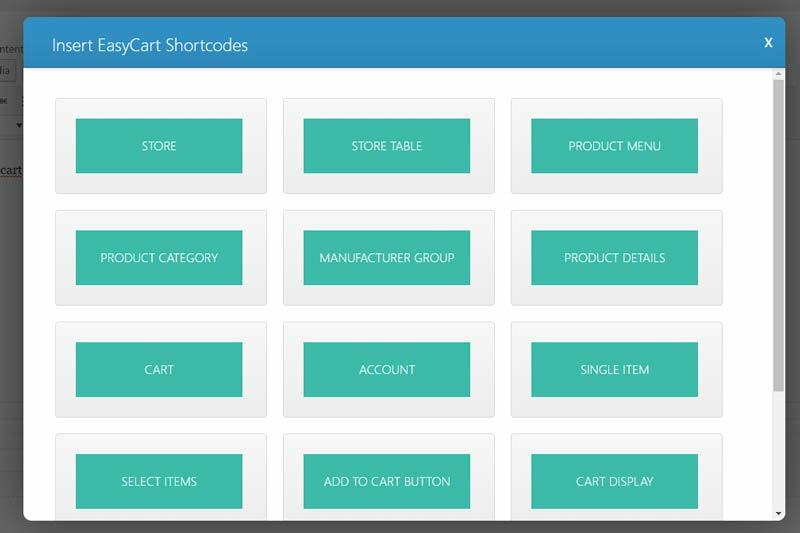 We have an awesome shortcode for store table of products which allows you to quickly select groups of products, categories, and individual products and put into a quick shortcode table. Of course you could use CSS to custom design colors afterwards, but this shortcode really helps speed up the process of building a product table. Select shortcode as in previous scenario and select ‘Store Table’ shortcode. Select all the categories and columns that you would like to insert with this shortcode. 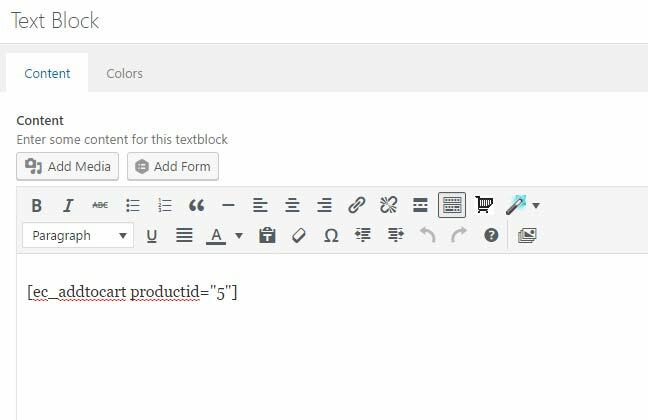 Once finished, insert the shortcode into your page or custom page builder. 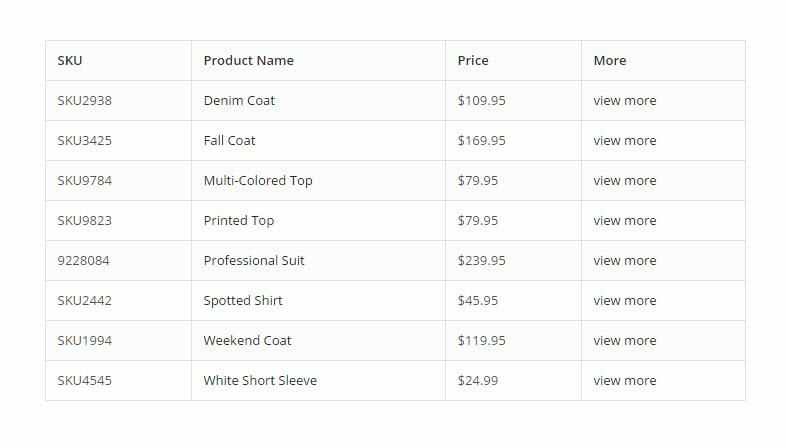 Save your page and viewing shows the table of products along with a button to view the product in detail. We have more shortcode which allow extensive control over your product displays and setup. You can display custom product categories on a WordPress page, very popular to do. You can also display custom cart and account shortcode, place single items or selected items on a page, even create a page for manufacturers and place those designed manufacturer products on a page. We offer membership content shortcode as well, so if you sell membership content such as video, downloads, or access to a members area of your website, simply use this shortcode and design ‘Member Content/Non-Member Content’ on a single WordPress page. IF the user is logged in AND has purchased a membership, then they can view that content, otherwise, show the user directions to purchase OR login.